Oncologists have in recent times learned a lot by looking at elephants and Greenland whales. These large and heavy animals, despite huge cell division rates, rarely develop cancer. 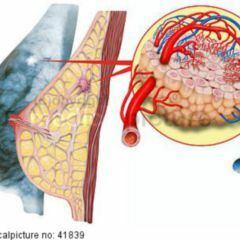 Now we are trying to use this knowledge for the benefit of human cancer patients. “Would it not be fascinating to be able to avoid cancerous diseases instead of treating them?”, Dr. Joshua Schiffman from the Huntsman Cancer Institute in Salt Lake City says. Although every malignant disease has its own peculiarities, according to the oncologist there are common mechanisms that even cross species’ boundaries. Scientists found out how animals protect themselves from neoplasia. In reality it would be expected that living creatures of increasing size – in other words those comprised of a larger number of cells and with an increased life expectancy – would also more frequently develop neoplasia. The more cell divisions take place, the greater the probability that a cell degenerates. These theoretical considerations are not reflected in practice – a phenomenon that is presented in many textbooks under the term “Peto’s paradox“. “For example, elephants are almost never affected by cancer”, says Schiffman. This is particularly surprising in the face of enormous cell division rates. When weighed at birth, an elephant calf moves the scales to show a weight of up to 100 kilograms. From there they end up at adult age, depending on the species, being two to five tons in weight. Zoos report life expectancy of more than 80 years of age. The researcher wanted to know more and worked his way through genetic tissue in search of clues. “Despite their body size and longevity, elephants remain cancer-resistant with a cancer mortality of 4.81 percent”, he says. In humans this figure, depending on ethnicity and the data base itself, ranges from 11 to 25 percent. The incidence of cancer is not related to body mass (or cell count) and life expectancy. © Joshua D. Schiffman et al. The reason why elephants are so resistant, Schiffman says, is primarily related to a gene called TP53. This gene codes for p53. 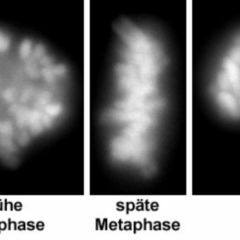 DNA damage leads via a circuitous path to the accumulation of this key protein in a cell. It initiates DNA repair mechanisms, but also stops the cell cycle in order to create a kind of rest. If this is not achieved, the p53 level increases further. 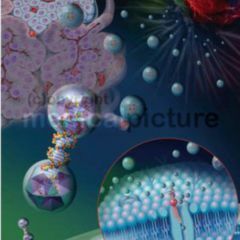 Together with cofactors, apoptosis is ultimately initiated. Point mutations in TP53 lead to the loss of the function of the protein. This is where things become interesting. While humans have one copy, that is two alleles, in pachyderms there are 20 copies – that is 40 alleles. The effect can be illustrated in the laboratory. When Schiffman irradiated lymphocytes with the same dose, 7.17 percent of all human lymphocytes succumb whereas 14.74 percent of all lymphocytes of animal origin did. The cytostatic substance doxorubicin led to apoptosis in 8.10 versus 24.77 percent of all lymphocytes. Michael Sulak from the Department of Human Genetics at the University of Chicago confirms this notion with his own experiments. The importance of undamaged p53 in humans is something oncologists know all too well. With Li-Fraumeni syndrome, astrocytoma, leukaemia, bone sarcoma, breast carcinoma, plexus carcinoma and soft tissue sarcoma occur at a young age. Human geneticists found mutated TP53-genes in seven out of ten cases. Anomalies sometimes occur with TP53 in association with various tumours in old age as well. The literature mainly mentions glioblastoma multiforme, nasopharyngeal carcinomas and esophageal carcinomas. The tactics of inhibiting co-factors which degrade p53 by using small molecules does not work here. Researchers therefore attempted to infiltrate cells with intact copies through the use of adenoviruses. Individual patients received Advexin (ladenovec) as part of Compassionate Use programs. Ultimately the manufacturer withdrew its application for authorisation from the EMA. The Committee on Medicinal Products for Human Use had failed to provide adequate data on efficacy and safety. The work now continues. According to clinicaltrials.gov, many studies on gene therapy are taking place worldwide which involve constructs of P53 and adenoviruses. In China gendicine (RAd-p53) has already been approved for the treatment of head and neck carcinomas. 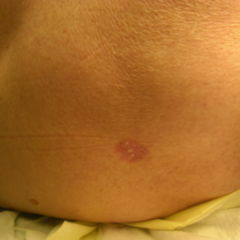 These are usually squamous cell carcinomas. CRISPR-Cas9 has also opened up new opportunities. Frank Buchholz from TU Dresden (Germany) now reports that it is theoretically possible to repair 535,327 (88 percent) of all known cancer-associated gene mutations, including those in TP53. Focusing only on this gene would however be wrong. Let’s take a look once again at fauna to understand this. Greenland whales can live to be over 200 years old and are rarely affected by malignant diseases. João Pedro de Magalhães from Liverpool has compared their genome with the genome of mink whales. Both species have a similar lifestyle – only that the life expectancy of Mink whales is about 50 years. Greenland whales have specific mutations in ERCC1 and PCNA genes. Both sections help to repair genetic defects. Now the researchers are planning to study the effect of both genes in mice. This way, it can be estimated what the importance of this anomaly might be in humans. According to research of the author long-lived people have acidic blood pH. It’s time to revise medical axiom of alkali human blood pH = 7.35 – 7.45.